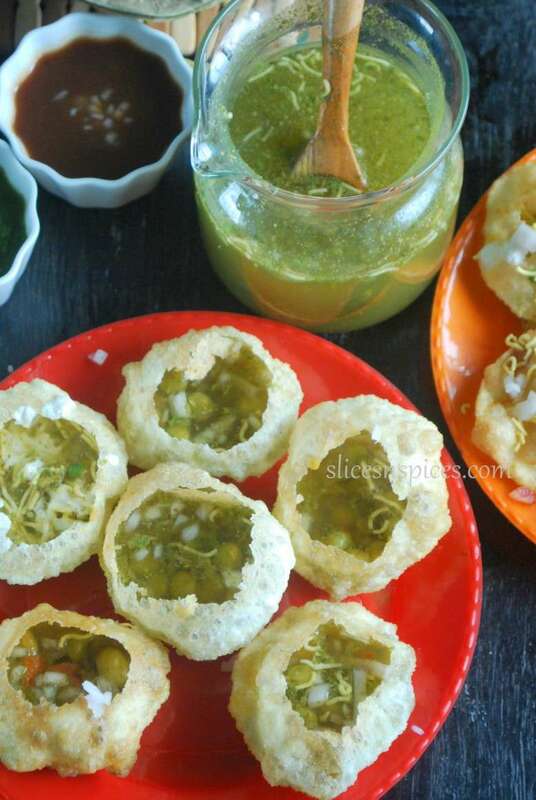 How to make puris for Paani puri chaat at home, Indian chaat recipes, most popular Indian street food recipes, crispy and round puris for paani puris chaat, gol gappa recipes, spicy tangy pani for pani puri chaat. 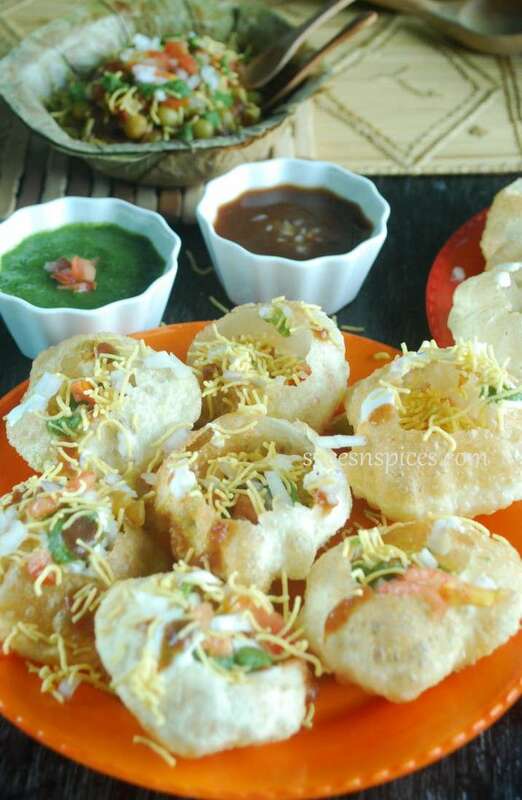 If you talk about Indian street food , then Pani puris UNDOUBTEDLY tops the list, pan India! 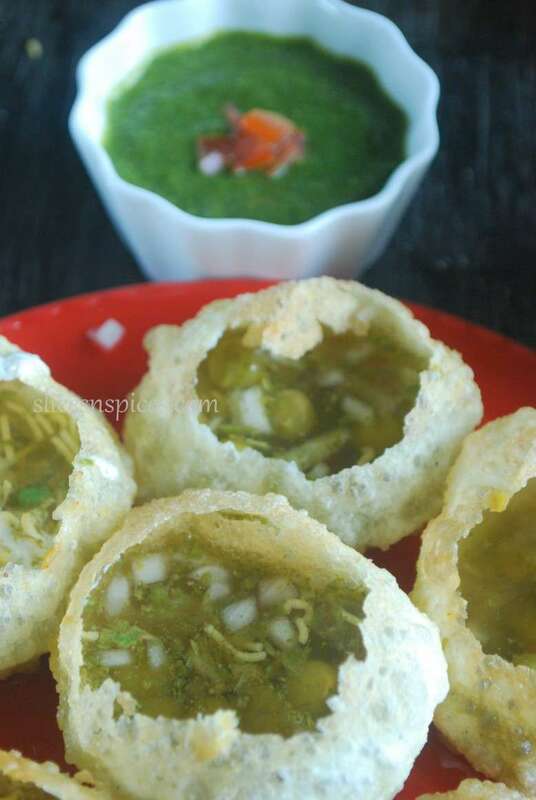 Call it as puchkas in east , gol gappas in north or pani puri as in many other parts of the country, no state is alien to this crispy crackling puris ( fried crisp hollow balls) filled with tangy spicy herbed water. Hands down its a crowd puller at any party, gatherings and outings , especially with women folk 😄. The flip side of this most savoured street food , is the plethora of microflora it brings along, via the ‘questionable’ quality of water used . The deep fried puris also should be labelled unfit for consumption considering the way the dough is prepared and the trans-fat loaded oil it’s fried in. I learnt this no fail way of making pani puris from my younger son’s baby sitter, who doubles ( and triples) up as our kitchen helper, giving all those useful tips and helping me with food preps. 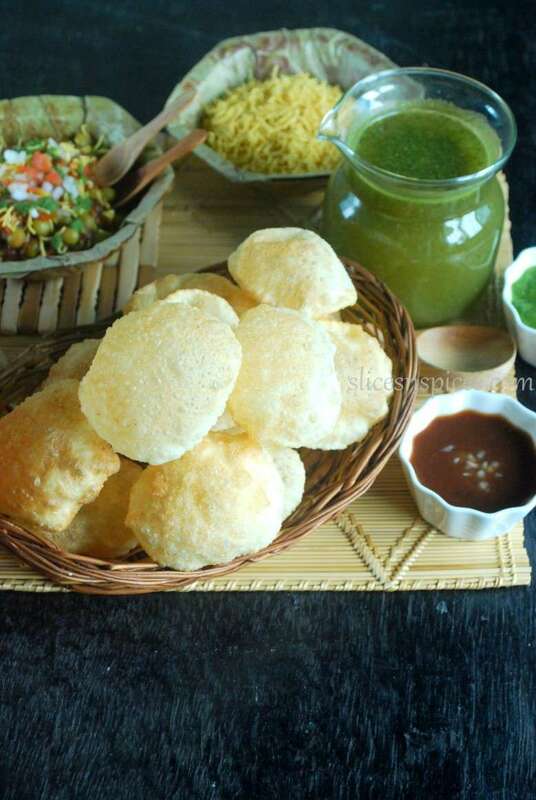 Making this street snack at home was their family buisness and as much as I enjoyed learning and nailing the crispy puris at home, I was also saddened by the way , she as a child was made to quit school and roll out hundreds of puris everyday to help increase the family income. The only way I can do my bit to help her overcome those painful memories, is by giving my comforting presence. So, when the kids insist on eating this famous street food, the best ( only ) way to meet their demands is by making them at home . 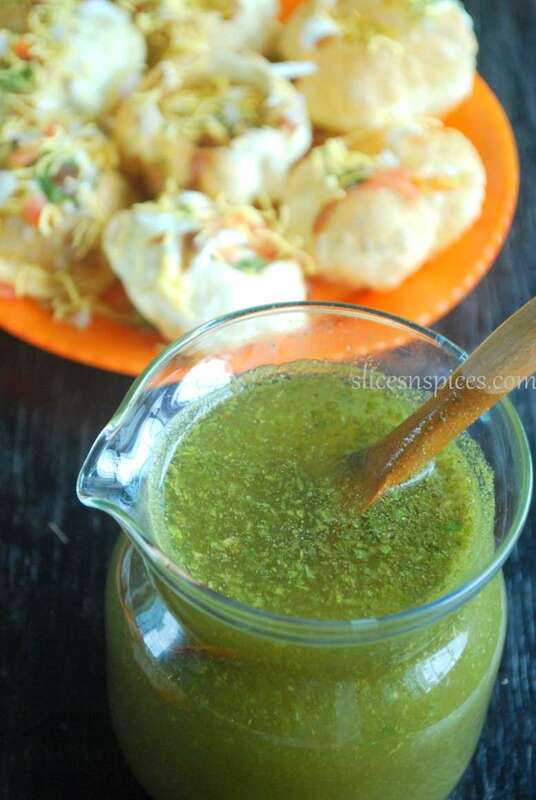 A bit of effort and some planning is all that needed to make ‘as good as street wala‘ golgappas. Note 1: You can also use whole wheat flour ( aata) , though the puris at times do not fluff up as much, when I use whole wheat flour in place of all purpose flour. Note 2: That’s exactly how much I used, you can reduce / add more depending on the climate and type of flour you are using. Dry whisk flour, semolina, baking soda, salt. Mix well. Step 1: Take the dough, form into a round shape, pat it on a flat surface. Cut into 2 inch width long strips. Step 2 :Take each strip, roll into a log, cut 2 cm blocks to give small squares. Step 3:Now take each square, roll into small roundels. Step 4:Similarly finish off with all the other strips, place the roundels in a bowl, drizzle some oil. Coat the roundels well with the oil, cover with a damp cotton cloth. Allow it to rest for 1-2 hours. This step is very important,as resting the dough makes it supple and easy to roll. After an hour, apply some oil on to the rolling pin and rolling surface, now take each small roundel, roll out into small puris. While rolling them out, remember, since they are very small, rolling them to thin puris becomes a challenge. For this, when you place the roundel on the rolling surface, use pressure to flatten it , turn it, press with rolling pin again to spread it and repeat. 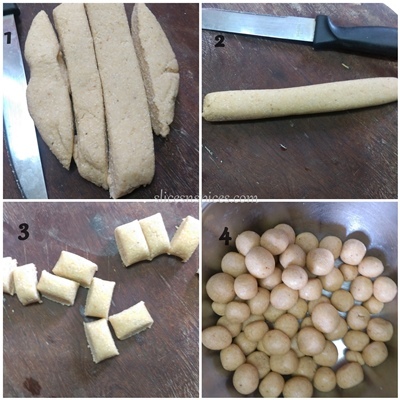 In this way by using pressure, you can roll out thin puris in 4 to 5 strokes. Meanwhile heat refined oil in a wok, once hot, release the puris one by one into the hot oil. The flame should be high throughout, with the slotted spatula ( one used for deep frying), keep splashing hot oil over the frying puris till they fluff up. Drain excess oil and spread over a kitchen towel / tissue paper. Once all the puris are done, cool them to room temperature, store in airtight box until further use. 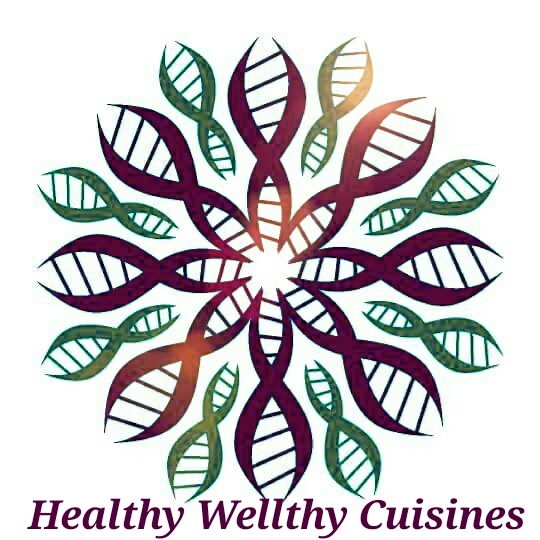 Note: if you are not keen on using tamarind , replace it with 1 teaspoon Citric acid crystals ( not lemon juice). Tamarind gives a muddy colour to the water, while citric acid retains the green colour of the water. Seperate leaves and thoroughly wash mint and coriander . Grind the leaves along with all the spices . Add 2-3 litres of water to this paste. Check for seasonings and add spices accordingly. White peas ( safed batana) – 1/2 cup soaked in water overnight or for atleast 6 hours, pressure cook for 2 whistles. Salt, chaat masala, chilli powder, roasted cumin powder according to taste. Mash potatoes, add boiled peas and chopped onions. Add salt, chaat masala,chopped coriander, chilly powder. Mix well. 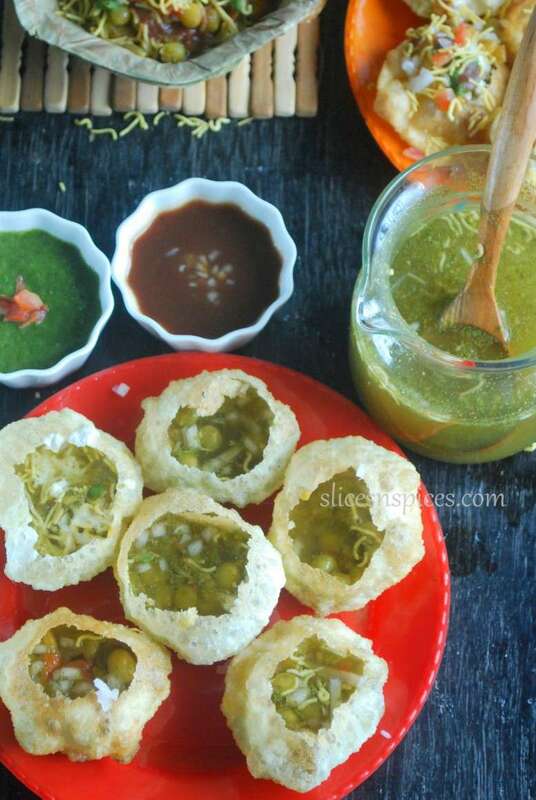 Assembling Pani Puris: Break open each puri, load a big dollop of potato-peas filling, dip into the spicy tangy pani and quickly devour before reaching for another one!! 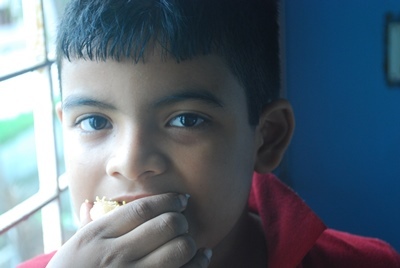 That’s my kiddo digging heartily into his favourite mom-made chaat !